Macy’s has just launched the latest iteration of its ‘Find The Remarkable You’ campaign. The television spot, ‘Remarkable You’, follows six inspiring and remarkable women who are paving the way for future generations. Underscored by No Doubt’s iconic empowerment anthem ‘Just a Girl’, the spot follows them during their morning dressing ritual and their jobs, showing how fashion is their armour and equips them with confidence to take on the day. The incredible heroines include Tiffiny Blacknell, a working mum and public defender; Mishaal Ashemimry, an aerospace engineer; Patricia Valoy, a civil engineer; Vanessa Beckman, a 4th grade teacher; JoAnn Falletta, an orchestra conductor; and Becky Hammon, a professional men’s basketball assistant coach. While they are all different, the six diverse women find their own remarkable selves through their interpretation and styling of fall fashion trends and must-haves, reminding viewers that they too can find the best of fall fashion and themselves at Macy’s. From launching a rocket into orbit, to inspiring young minds, we all have the potential to do remarkable things. The spot ends with the theme of the campaign, ‘Find Fall Fashion. Find The Remarkable You’. 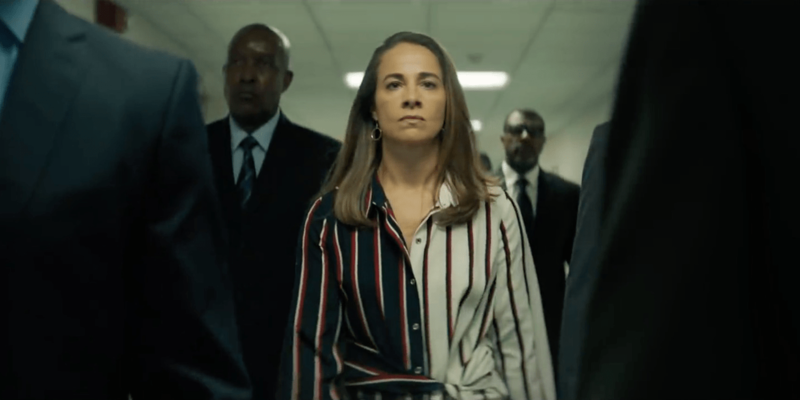 Created by BBDO New York, the thirty-second spot will run on network and cable from September 9th, with a longer form sixty-second spot running online. The campaign will also run on Macy’s social platforms, including Facebook and Instagram. Supporting the television/online film will be two unique Instagram Story executions: “The Pretty*Smart Shopping Experience,” which allows viewers to shop the story for products that highlight the multifaceted interests of Macy’s shoppers; as well as the “Remarkable Templates” which allow viewers to participate by sharing information about their remarkable selves.